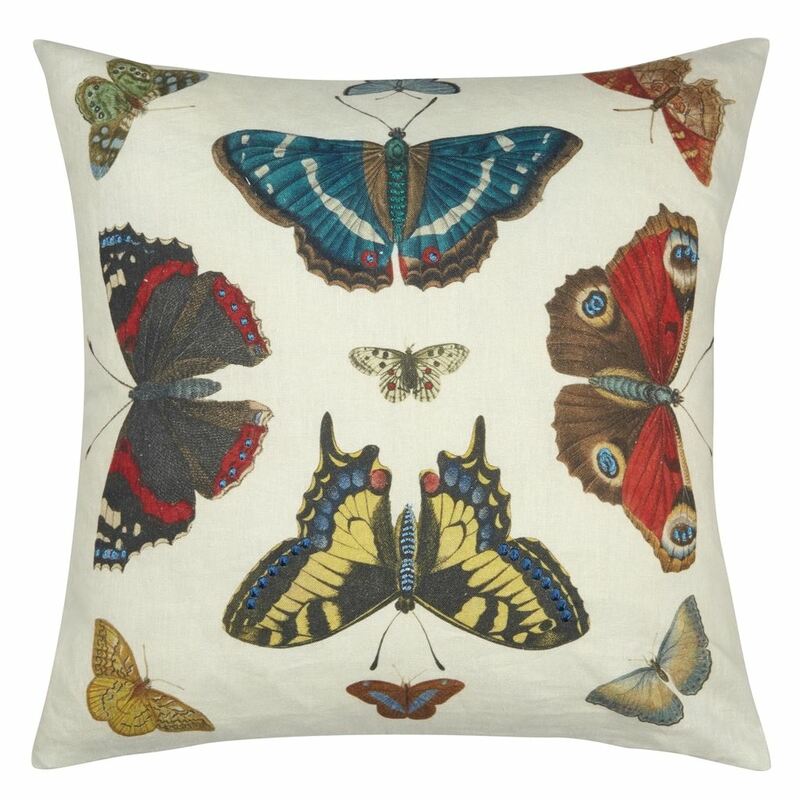 A new colourway of this beautiful desinger cushion featuring intricate botanical illustrations of Butterflies in typical John Derian style. 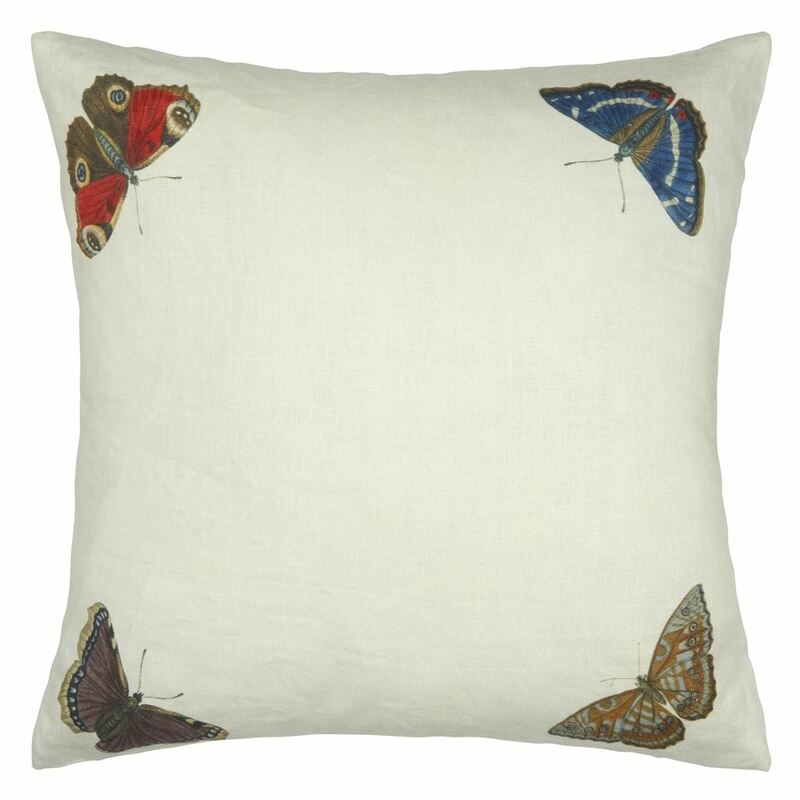 Set in a mirrored pattern with delicately stitched embroidered details. 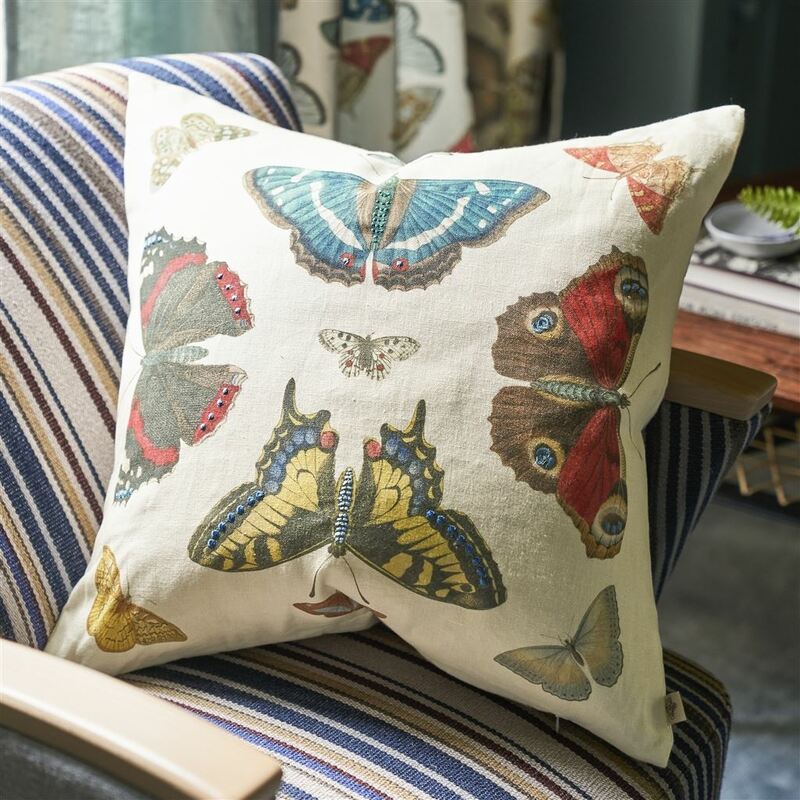 Digitally printed onto pure linen, four elegant butterflies lie in the corners of the printed reverse. This decorative cushion is complemented by our best-selling Brera Lino cushions.